TOHO beads that impress not only with their amazing beauty and shape, but also the precision of their workmanship. Japanese TOHO beads have perfect shapes and are similar to each other. Buy them at a great price! 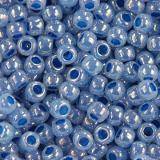 TOHO beads are made of the highest quality glass, durable and durable in color. They do not get dirty skin or material that is in their vicinity. A distinctive feature of TOHO ™, in addition to the shape, is also a larger threading hole than other small beads. It allows the use of thicker threads or monofilaments. We are sure that our jewelry or appliqué on clothing will stick to the material better. For this reason, TOHO ™ beads are most often used in braids and embroidery. 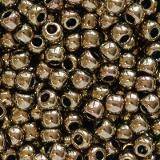 TOHO ™ beads are fine beads from Japan. This is the highest quality among beads, each shape is almost perfect. Combine them well with Czech beads or semi-finished products for making jewelry. Thanks to the larger holes, TOHO ™ beads are more conveniently used in braids and embroidery than traditional small beads. 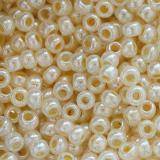 The most popular sizes of TOHO are round beads Toho 11/0 and 15/0, and 8/0. TOHO is sold in retail and wholesale packs. Wholesale is a 50 gram parcel, the retail is 5 gram parcels. You choose and decide which sale is better for you. Save up to 38% on wholesale packs. 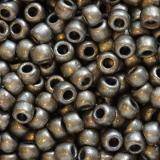 If you are looking for TOHO beads at the cheapest price, then you have found the perfect one. TOHO is a Japanese company, founded in 1957. Her small beads are very popular with jewelry, clothing and fashion designers. They are great for making jewelry with the beadingu technique, for example weaving on a loom, mosaic stitch, hand weaving, beaded embroidery. To work with TOHO beads may be useful Miyuki needles, TOHO One-G nylon threads, monofilament and other semi-finished products for making jewelry and handicrafts. TOHO beads come from Japan, where their quality and unique beauty have been appreciated for a long time. They are made of glass, thanks to which they are extremely durable, durable, and their color does not fade. In addition, they do not get dirty on the skin or clothes - they are ideal for both elegant outings and everyday wear. Thanks to the fine workmanship, they are perfect for composing with other types of beads. They have a slightly wider opening for threading, making work with them even simpler and more pleasant. For threading them, you can use slightly thicker threads, such as, for example, Miyuki threads. Also all sorts of jewelry strings or veins are perfect. Toho beads are most often used for embroidery or braids. They stick well to the material and there is no problem with their application. This is appreciated by enthusiasts of hand made jewelry, who care about the quality and diversity of materials used. 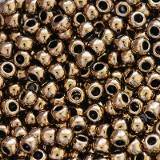 Our offer includes a wide selection of TOHO beads, ranging from TOHO bugle beads, Toho treasure, Toho mix. 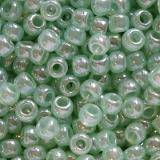 We also have beads in shades of hybrid, transparent or metallic. We are sure that even the most demanding customer will find with us the pattern of favorite pattern and color of TOHO beads.